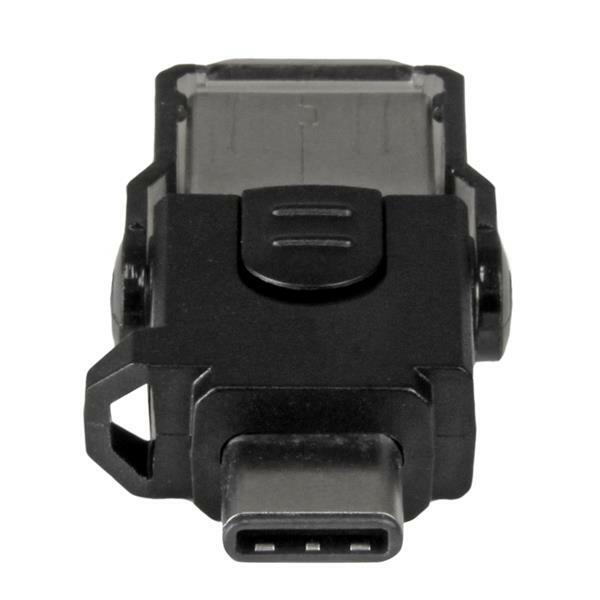 Here’s a fast and easy way to access the data on your microSD™ card. 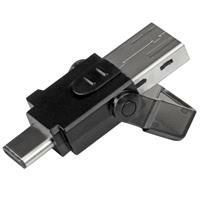 This compact card-reader adapter lets you connect a microSD card to your computer’s USB-C™ or USB-A port, so that you can quickly offload the files and data you’ve saved on your portable devices. 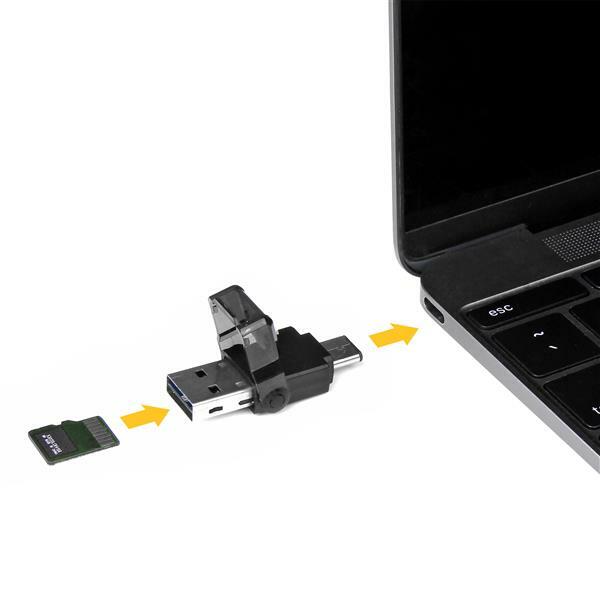 Quickly offload the data from your microSD card onto your computer. 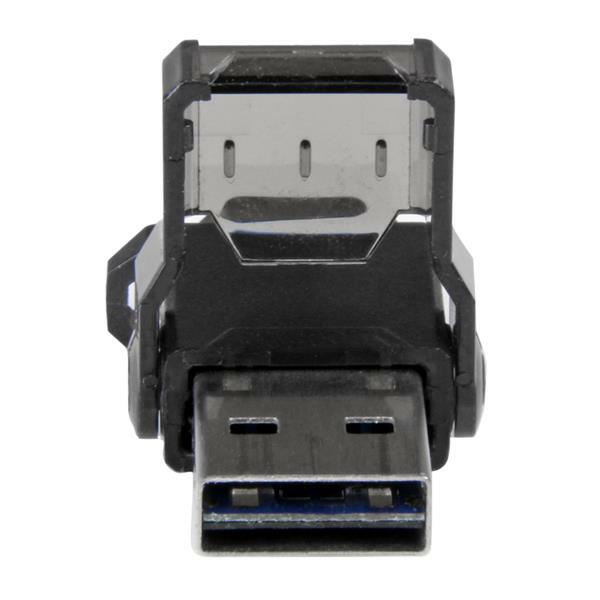 This USB 3.0 card reader gives you fast and convenient access to files from smartphones, digital cameras, camcorders and any other devices that use a microSD card. 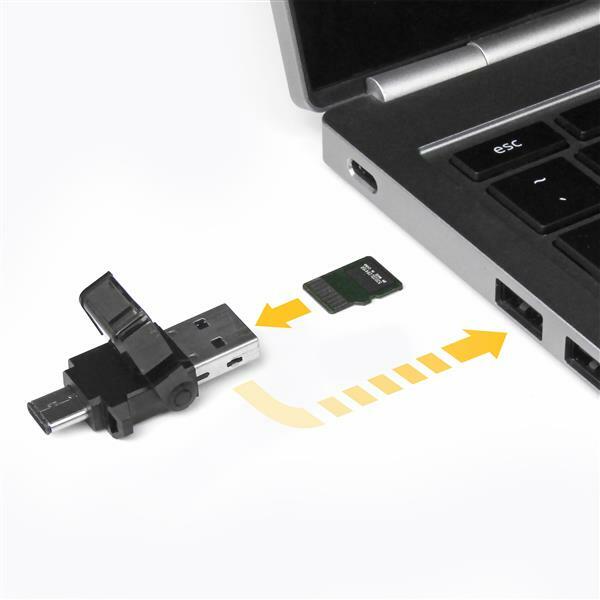 It’s the ideal solution for quickly transferring high-definition videos, high-resolution photos and other files to your computer, through USB 3.0 data transfer speeds of up to 5Gbps. The adapter is also backward compatible with USB 2.0, 1.x. 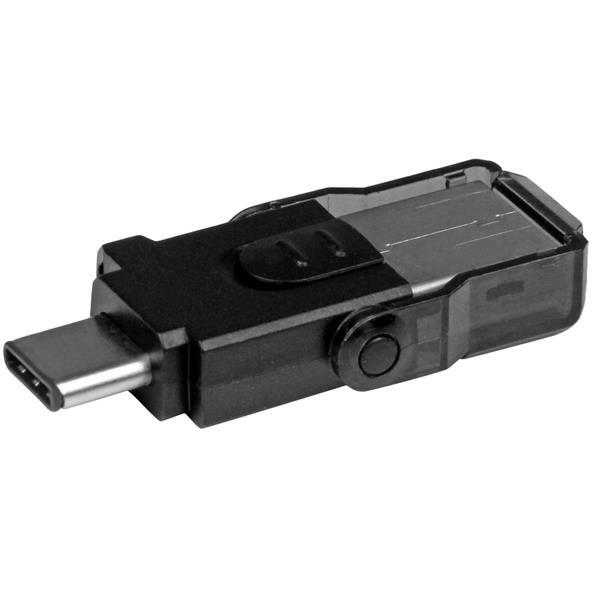 The card reader adapter works with microSD (Secure Digital), microSDHC™ (Secure Digital High Capacity) and Micro-SDXC™ (Secure Digital eXtended Capacity) cards. 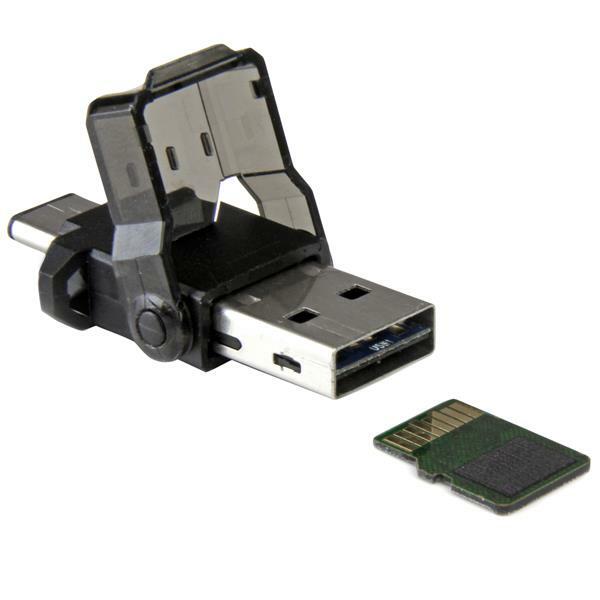 The unique design of the microSD card-reader adapter features both a USB-C and USB-A interface, providing versatile use with laptops, computers or other host devices with a USB-C or USB-A port. 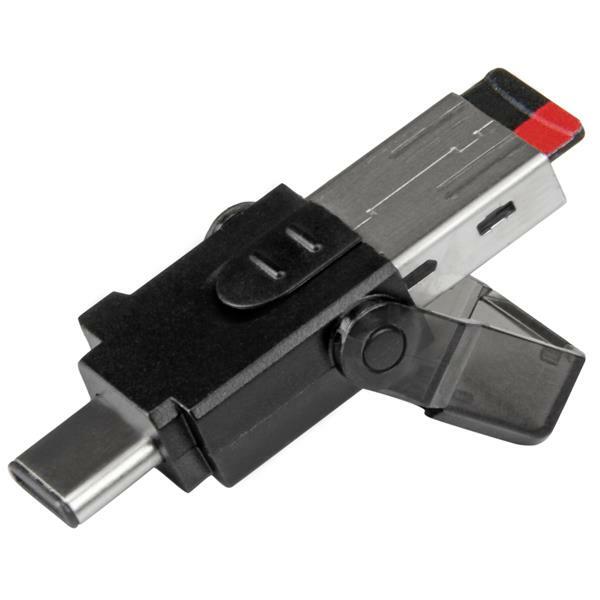 You can also use the micro SD card as a portable thumb drive with USB Type-C™ and USB Type-A host. 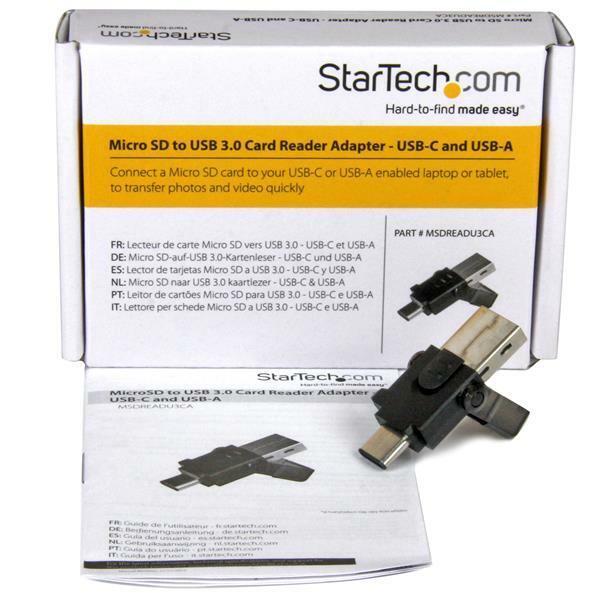 The MSDREADU3CA is backed by a StarTech.com 2-year warranty and free lifetime technical support.